These free Thanksgiving printables are perfect for adding a festive touch to your home decor! In an updated color combination of indigo and faux gold foil, you can print these once and use them for years to come! 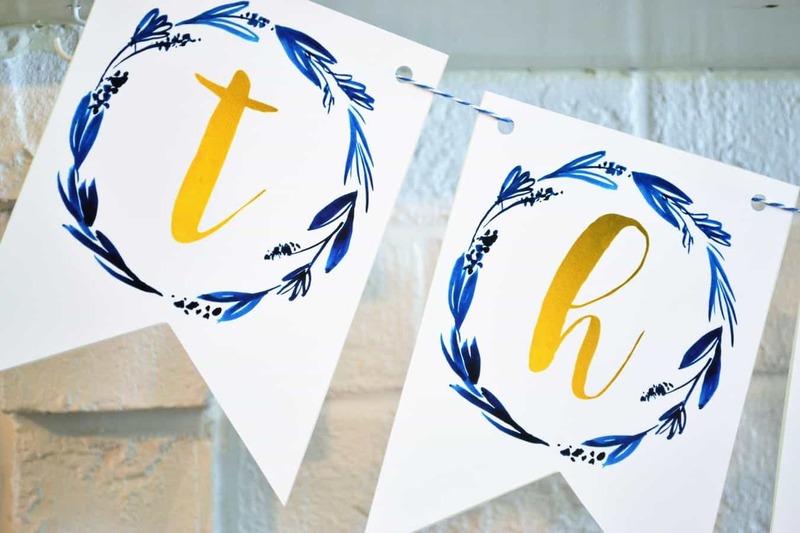 The combination of indigo watercolor wreaths and these favorite fonts just make me happy. 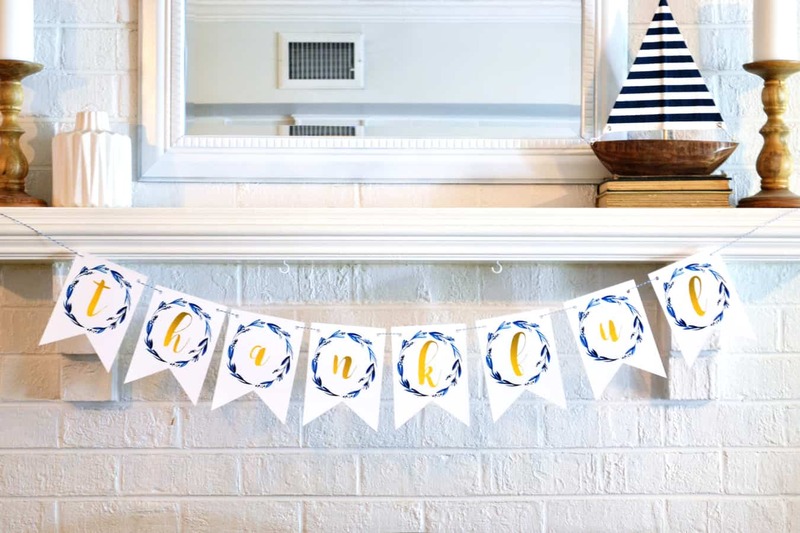 I strung my letters onto The Twinery twine (in denim), and hung from my mantle for some quick and easy decor that works no matter what the season. 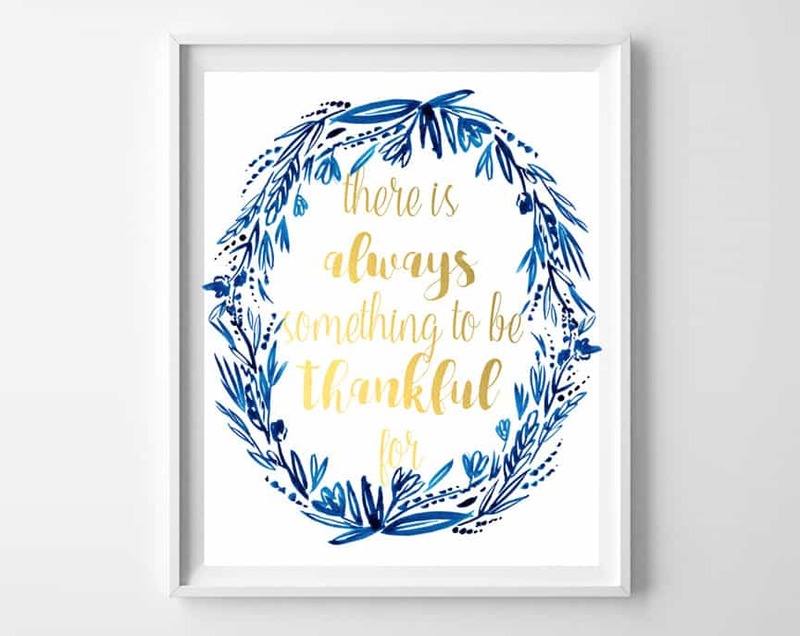 You can download the “there’s always something to be thankful for” printable here, and the printable bunting letters here (they’ll print two to a page): “t/h”, “a/n”, “k/f”, & “u/l“. Love fall and Thanksgiving themed printables? We have more in our archives! These Fall Printable Crafts for Kids are so cute and easy! This post shares some of my very favorite and free fall printables for the home! Thanks for reading all about my Thanksgiving printables! Have a crafty day! We have many more free printables for all occasions! You’re sure to find the perfect printable in our archives for your home or a gift!